I’m attending the 4th Annual Algae Biomass Summit, held by the Algal Biomass Organization (ABO) in Phoenix this week (September 27-30, 2010). I presented a talk during one of the afternoon sessions yesterday (Tuesday, September 28) on the impact of biotechnology regulations on the use of modified algae in biofuel production, and I will shortly be posting my slides on my Slideshare site, and will publish a link in the blog within the next few days. The following are some observations and notes (by no means inclusive) on several of the talks and workshops given on Tuesday, the first day of the conference. The morning session began with a brief address by Arizona Governor Jan Brewer, who announced that she had awarded $4 million of state and matching funding to the Arizona Center for Algae Technologies and Innovations at Arizona State University. The two major talks of the morning plenary session offered somewhat differing views of the prospects for using microalgae to produce biodiesel or other biofuels. The first talk was by Mark Bünger of Lux Research, who described a market analysis that his firm recently conducted on the growing algal biofuels industry. Although describing himself as a proponent of the industry, Bünger said that the industry “will face challenges” in achieving its commercial goals. The firm analyzed the production of algal biofuel using a model developed by Michael Porter, from the perspective of substitutes; customers; potential entrants to the market; suppliers; and competition. The discussion was far too detailed to summarize in depth, but here are some highlights. In comparing algal biodiesel to petroleum fuels, Lux Research sees that algal fuels compete favorably with regard to chemical properties, the ability to reduce pollution and carbon emissions, and other aspects, but that petroleum fuels retain their advantage in cost and scalability of production and other factors. Bünger also compared algal biofuels to fuels produced from other biomass feedstocks, and concluded that it was more advantageous economically to use forest waste and agricultural waste to produce fuels than to use algae, oil crops like Jatropha, or other purpose-grown energy crops. Lux Research also considered the “supplier” side of the industry, that is, the companies that have been formed to develop algal fuels. Bünger listed several factors that are holding the industry back, including the youth and immaturity of companies in the industry, the low barriers to entry that allow many poorly-prepared companies into the market, and the low burden of proof that has led to exaggerated claims being made by some companies in the field. Bünger also analyzed and dismissed the fallacies underlying some typical business strategies or competitive claims in the industry, such as the argument that there is economic or other value in using “brackish water” as opposed to clean water (in many countries around the world, brackish water is all you can get), that it is a viable business strategy to sell co-products before being able to make fuel economically, and that a small company can build a business by simply licensing technology to larger companies for their use in fuel production. His parting words to the audience were: don’t mistake momentum for progress; insist on a higher standard of truth; be realistic and honest about your own capabilities; and co-products are only a means to the end (my apologies if I’ve paraphrased incorrectly). A decidedly more optimistic view was then voiced by Dr. Stephen Mayfield, a well-known algae researcher at the San Diego Center for Algal Biotechnology. Dr. Mayfield described the imperative behind developing alternate fuels to replace fossil fuels before we run out of estimated fossil fuel reserves, and although he acknowledged the challenges that algal fuels might face, he was optimistic that algal-derived fuels can contribute to the solution. He described what he felt were the characteristics of a viable algal production strain and felt that many of these were either already met or were within existing engineering capabilities. For example, he cited a threshold that a production strain should achieve 30 g/m2/day growth and a yield of 30% extractable lipids, and he said that this has already been achieved. He discussed the need for engineering improvements in harvesting ability, lipid recovery and conversion of lipids to fuels, as well as the need to ensure that production strains can survive and thrive when production is scaled up to industrial levels. Dr. Mayfield said that the algal fuel industry will face many of the same challenges as have been faced in agriculture, such as yield, crop protection, harvestability, and product profile, and he described ongoing efforts to overcome these challenges. Finally, he described the challenges that remain as, in sequential order: obtaining sufficient investment to reach economic viability with any product (e.g. co-product or fuel); achieving environmental sustainability; reaching “world-scale” production levels, achieving economic viability with a fuel product; and obtaining positive “energy return on investment”. A major part of the closing segment of Dr. Mayfield’s talk had to do with environmental sustainability and the potential risks of using genetically modified algae (a topic close to my heart!). He is in favor of appropriate regulatory procedures and risk assessments, but he offered a spirited defense of the likelihood that GMO algae will pose low risks, including the fact that most GMO algae will be engineered for high levels of production to such an extent that they would compete poorly in the environment should they be released from a production facility. I’m sympathetic to these arguments, but I heard an eerie similarity to arguments made about genetic engineering in the early (1970s-1980s) days of the biotech industry, and in today’s regulatory environment, simply making such general arguments won’t take the place of case-by-case reviews of individual products. There were other sessions on Tuesday morning, including an executive roundtable featuring C-level officials from Solazyme, Sapphire, Algenol and Solix. But for now, I’ll only briefly summarize some of the brief talks in my afternoon panel, entitled “Green Policies Beyond Greenbacks: Short and Long Term Policy Considerations”. Our moderator, Tin Zenk of Sapphire Energy, gave an overview of a number of policy issues important for the growth of the industry. Jenna Bloxom of Colorado State University discussed some long-term policy issues including the need for the industry to assess its performance in accordance with standardized measures of carbon emissions. Joanne Morello of the U.S. Department of Energy’s Office of Energy Efficiency and Renewable Energy, described the various R&D programs being supported by DOE both within the agency and extramurally. Ben Malkin of the law firm Van Ness Feldman discussed the Renewable Fuel Standards and policy issues relating to climate change, and then Denise Gitsham of Sapphire (sitting in for Mike Evans of K&L Gates) described the current situation under which algal biofuels did not qualify for the same tax credits as cellulosic ethanol, and the legislative and lobbying efforts underway to rectify this situation (efforts which achieved some success that same day, in the passage of H.R. 4168, the Algae-based Renewable Fuel Promotion Act in the U.S. House of Representatives). Next, Earl Chilton of the Texas Parks and Wildlife Department described his department’s ongoing efforts to develop new state regulations governing the introduction of exotic nonnative plants into Texas. These planned regulations have generated a good deal of attention in the algal community, since they might affect many strains of naturally-occurring algae and would include all genetically modified organisms. I’ll have more to say about these regulations in a future blog entry. Finally, my talk on “The Impact of Biotechnology Regulations on the Use of Genetically Modified Algae in Biofuel Production” was the last talk of the session, and I will post my slides from the talk shortly, and I’ll provide a link here in the blog. These comments are merely a brief summary of some of the talks I attended. The views expressed here and the descriptions and impressions of these talks are my own, so my apologies in advance if I have misrepresented any of the presentations or the views and opinions of the presenters. Next week I will be attending and speaking at the 2010 Algae Biomass Summit, held each year by the Algal Biomass Organization (ABO). This year’s conference will be in Phoenix from September 27-30. The Summit has become perhaps the premier annual conference for the algae industry, and the ABO expects more than 800 attendees from all sectors of the industry, ranging from researchers and academia to algae producers to algae end-users. I will be appearing on a panel on Tuesday, September 28 entitled “Green Policies Beyond Greenbacks: Short and Long Term Policy Considerations”, along with several others from industry, government and academia. My talk is entitled “Impact of Biotechnology Regulations on Use of Genetically Modified Algae in Biofuel Production”. It’s a large and diverse group of panel members, and each of our presentations will necessarily be short, but I intend to present an overview of the EPA TSCA Biotechnology Rule and USDA’s biotechnology regulations, either of which might affect the use of genetically modified algae in the production of biofuels or for bio-based chemical manufacture, and to discuss these rules in the context of ensuring that a reasonable, science-based regulatory framework is put into place for the anticipated use of engineered algae for these purposes. I’ll be posting my slides after the talk, and I’ll provide a link in a blog entry shortly after the conference. I also hope to be blogging during or shortly after the conference to report on any interesting news or information that I may learn on topics relevant to the focus of this blog. As always, please feel free to comment or contact me with any questions you may have. 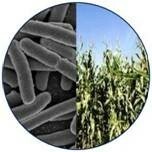 D. Glass Associates, Inc. is a consulting company specializing in several fields of biotechnology. David Glass, Ph.D. is a veteran of nearly thirty years in the biotech industry, with expertise in patents, technology licensing, industrial biotechnology regulatory affairs, and market and technology assessments. This blog provides back-up and expanded content to complement a presentation Dr. Glass is making at the EUEC 2010 conference on February 2, 2010 entitled “Prospects for the Use of Genetic Engineering in Biofuel Production.” The slides from that presentation, along with more information on D. Glass Associates’ regulatory affairs consulting capabilities, are available at www.slideshare.net/djglass99 or at www.dglassassociates.com.